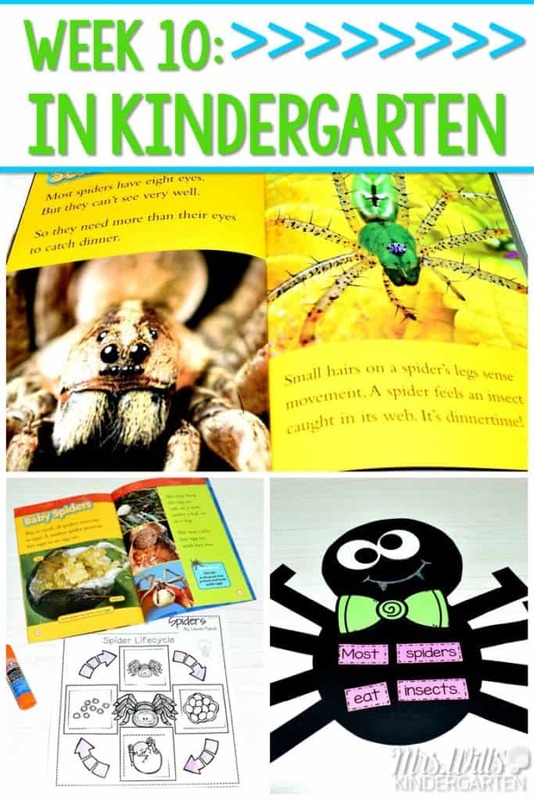 Kindergarten Lesson Plans Week 10 featuring ideas learning about spiders. 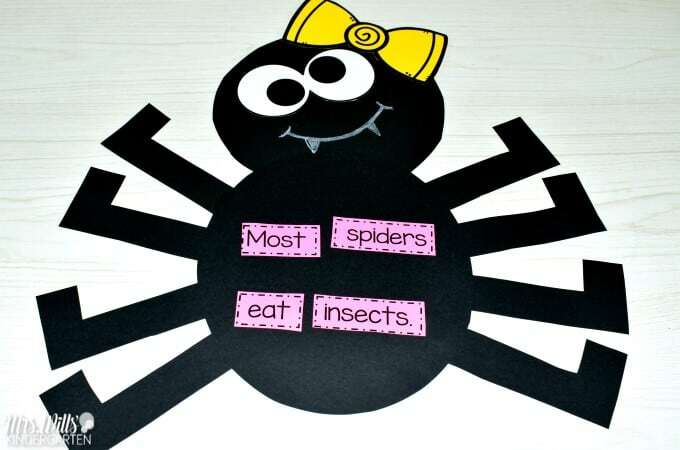 Each fall, we try to take a moment to learn more about arachnids! 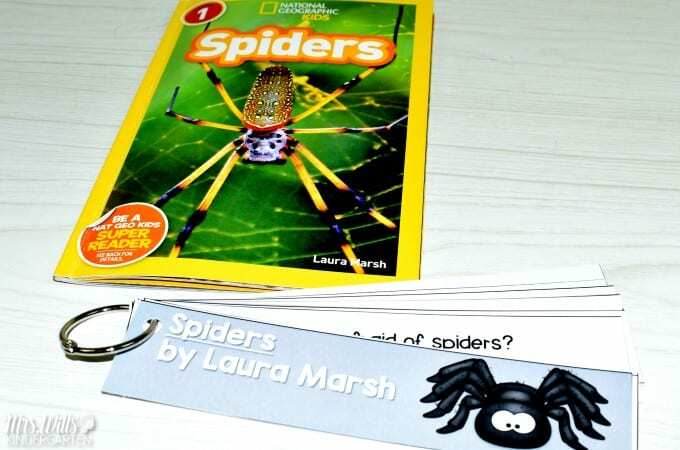 We love National Geographic Kids books and Spiders by Laura Marsh is another outstanding resource. 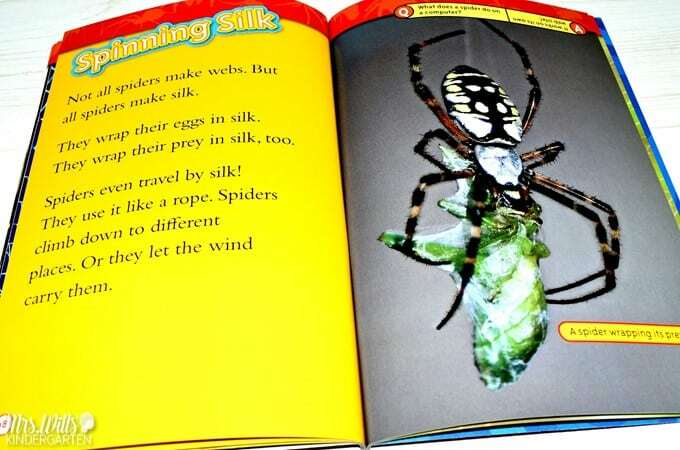 The pictures are vibrant and detailed and this book offers a chance to explore text features of informational books. 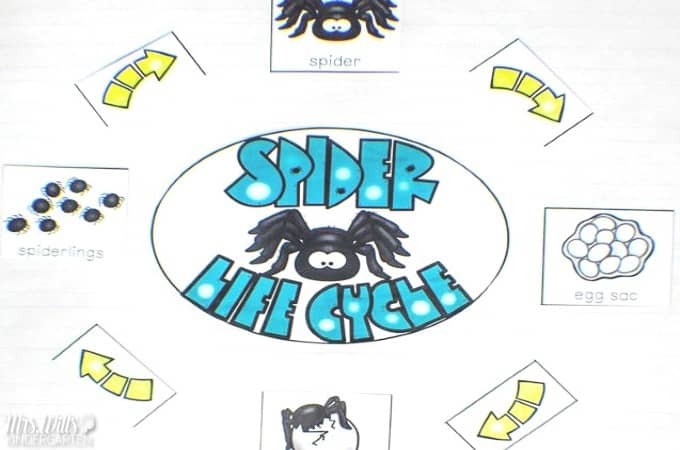 We created a Spider Life Cycle chart. 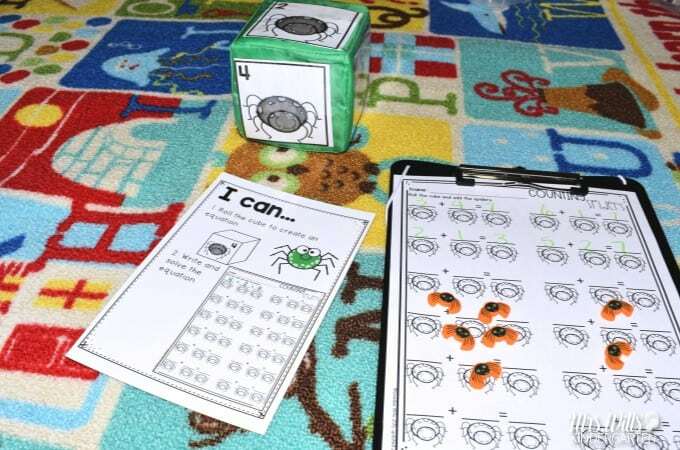 Then students created their own version. 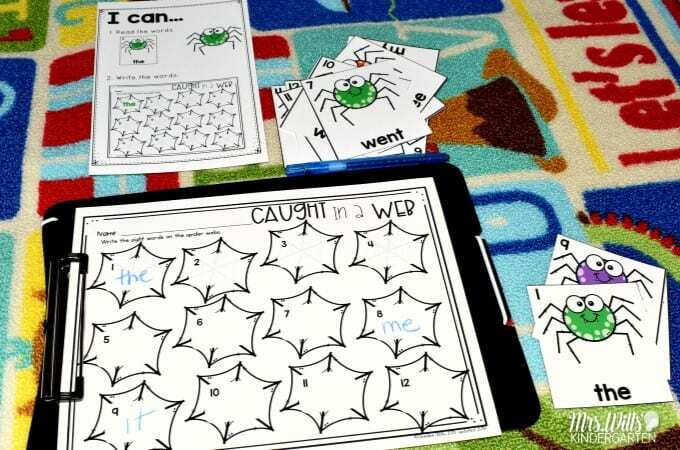 Students worked on their schema. 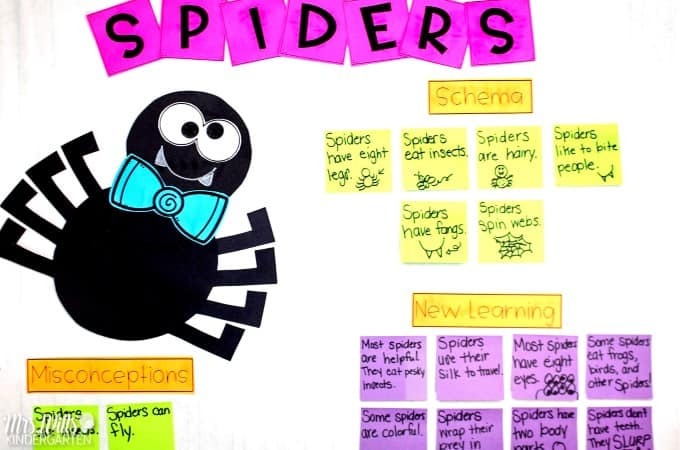 And this anchor chart was helpful when the students went to write their own informational text. 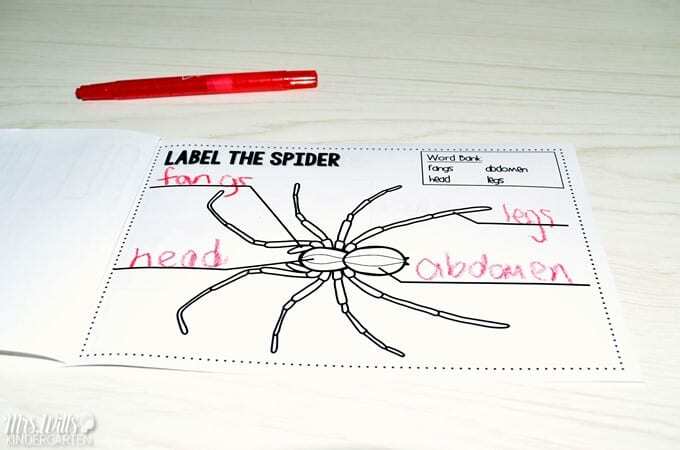 On this page, students labeled the spider. 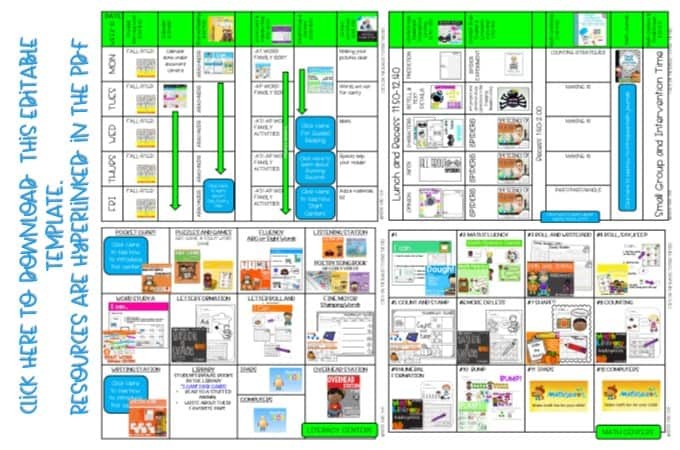 Here are few other charts we used in our unit of study. 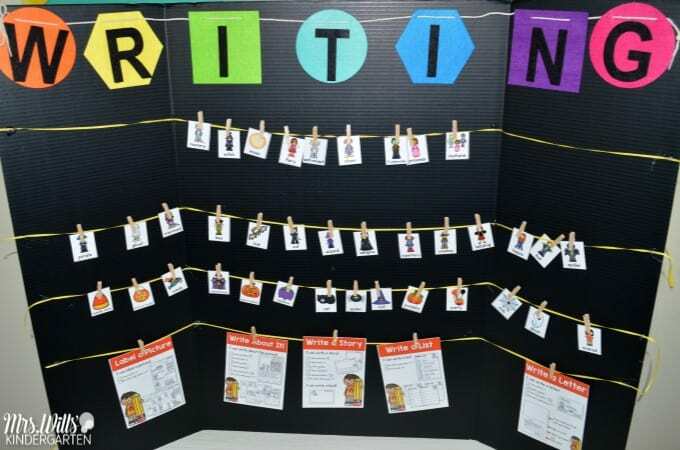 Students wrote an opinion piece. 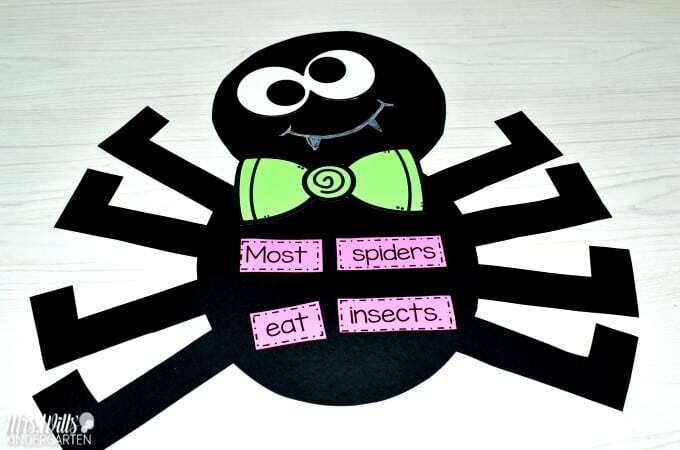 Each week we take a sentence to examine. This is a great chance to notice various concepts of print. 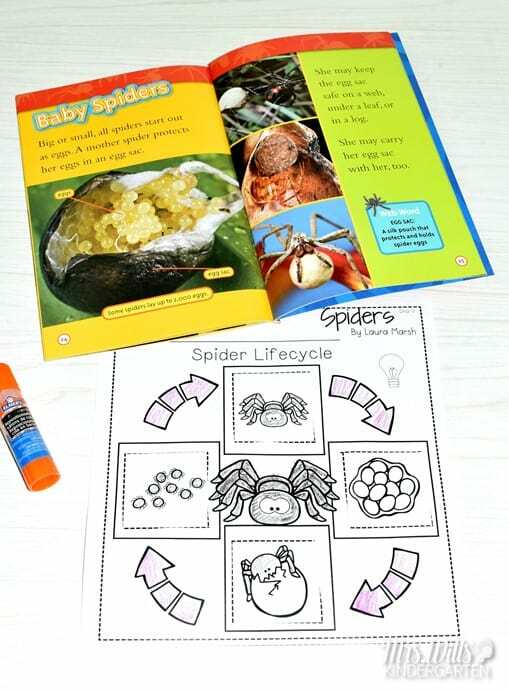 All of these resources shown above are part of our Engaging Readers Units. 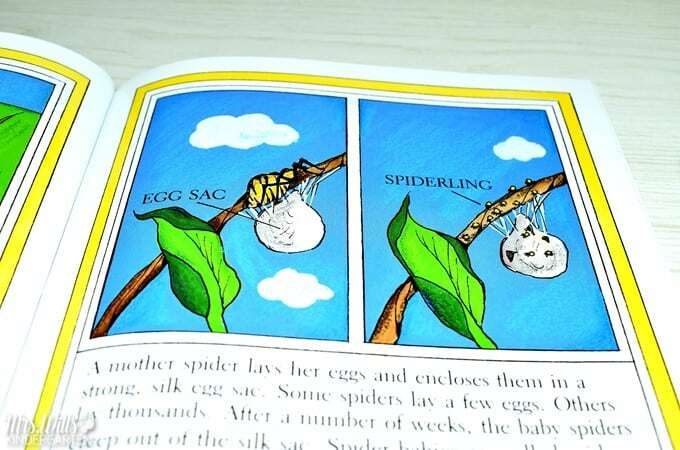 Each week, we take a book and read closely. 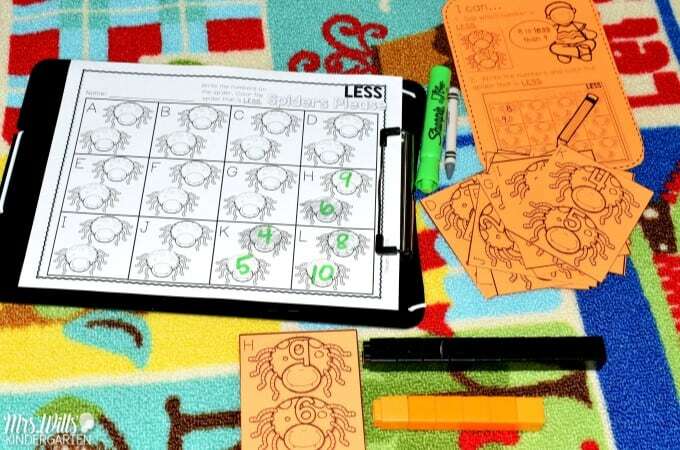 Students comprehension soars as a result. 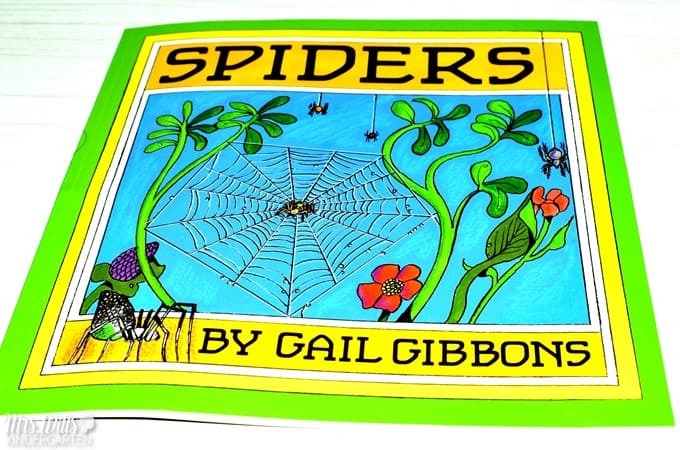 We also love Gail Gibbon’s book Spiders! 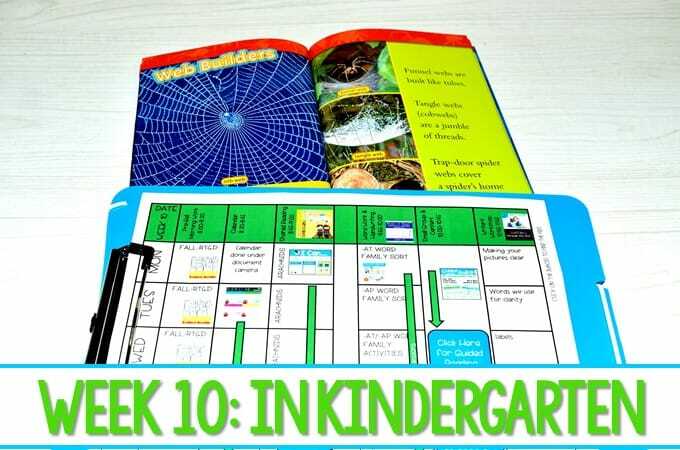 If you get the weekly reader from Scholastic called “Let’s Find Out!” there is a great artical in the October 2018 edition. Love these! Here is the poem of the week! 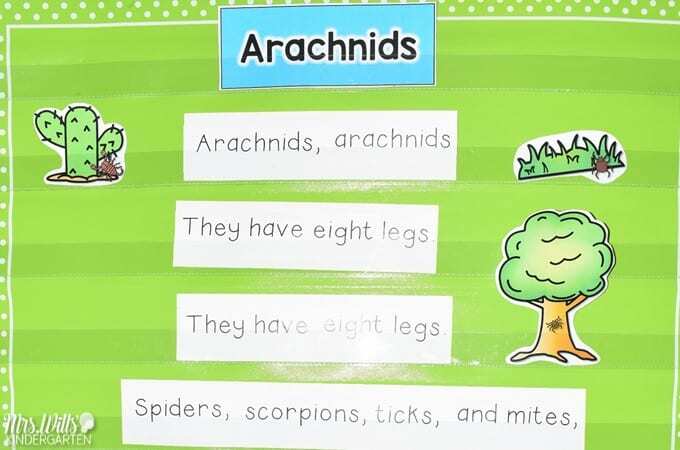 Not only are poems a fun fluency activity, they also give us a great opportunity to learn and practice our work attack skills. 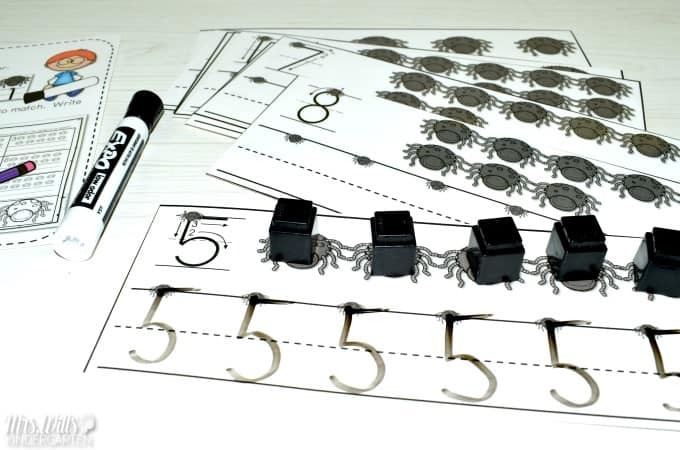 Students read the numbers on the spiders. 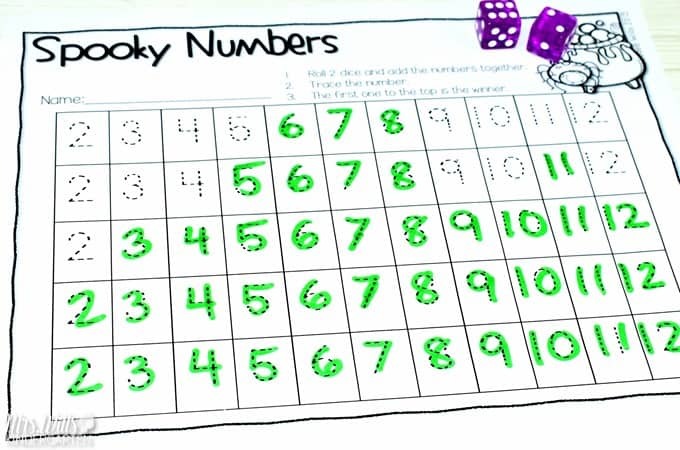 Then they build the numbers with cubes. 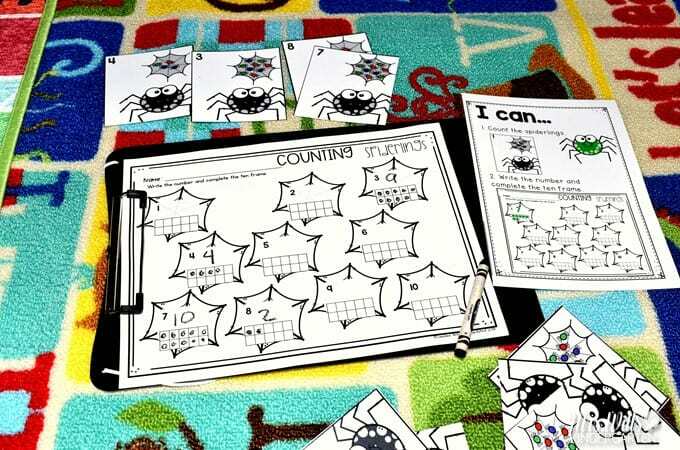 Next the write the numbers on the spiders and color the spider that is less. 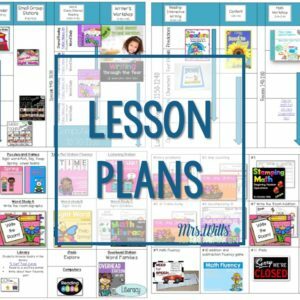 Follow my board to check out some of my other Lesson Plan Ideas! I just updated this old Free File! You can download it by putting your email in the box below. 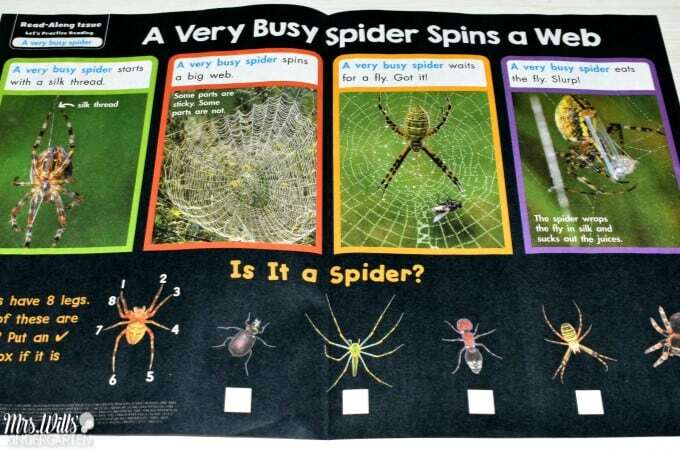 How do I find your Life Cycle of a spider work sheet? 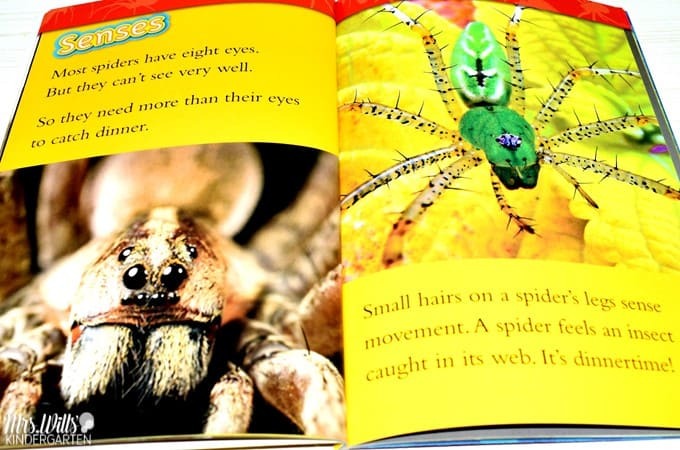 It is in the Engaging Readers Spider unit.